For a couple of seconds, I bucked and danced at the end of my line. I was like a rag doll shaken by a giant. Was it a great white shark, twisting and turning me from side to side, like a bulldog with a rat in its jaws? I couldn’t see what was happening. It was dark, and air bubbles kept exploding around my face mask. Don’t panic! I told myself. Don’t panic! I tried to think it through. I didn’t feel razor-sharp teeth cutting through my wet suit. So it wasn’t a shark. Ian has been going to Key West every summer for years, helping his Uncle Gord at his dive shop and spending as much time as he can underwater. When he’s not diving, he’s admiring Sherri, the girl who works at the dive shop, and wondering how she would feel if he told her that he tastes blackberries whenever he sees her. A series of accidents leads Ian to believe that his uncle is in grave danger, but the truth is more complicated and terrifying than he could ever have imagined. Mr. Eyepatch stepped out from behind an old truck. At full speed, I almost speared myself on the huge knife he held waist high in my direction. I managed to throw myself to the side and dodge the knife. I stopped a few stumbling steps later, turned to face him, and gasped for breath. He snarled something at me in Russian. In Russia with the WHL all-stars, Hog finds there is plenty of money to be made. . . if he’s willing to pay the price for it. It’s the All-Star team, made up of the WHL’s young hockey players, just one short step away from the NHL. 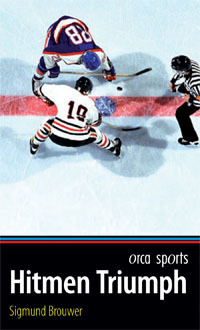 Their goal is to beat the Russian All-Stars in a best-of-seven series to be shown as a television special. Hog Burnell, one of the biggest and toughest players in the league, is happy to be part of it. He could use the money that would come with a series win by the WHL All-Stars. At the very worst, it’s a free vacation to Russia. It doesn’t take Hog long to discover there’s plenty more money to be made along the way…if he’s willing to pay the price for it. I turned and ran back toward the barn. When someone starts killing cattle on Josh’s family’s ranch, he puts his future on the line, both on and off the ice. When Josh Ellroy, left-winger for the Kamloops Blazers, and his dad find more than a dozen dead cattle on the family ranch, Josh has some serious decisions to make. On one hand, the Western Hockey League playoffs are ahead, plus a chance to play in the National Hockey League. On the other hand, there’s a beautiful and interesting girl who believes more prize bulls will be killed. Josh is afraid of what will happen if he gets involved. As he learns more, he’s afraid of what will happen if he doesn’t. Yes, I was one of the best in the league. Not a big deal. I was born with fast hands and I didn’t feel pain. The fact that Lauren was almost as good was a big deal. And she drew a bigger crowd. A lot of people wanted to cheer for her because she was a girl. And a lot wanted to cheer against her. I had a feeling she was going to get more ice time than I would. A female goalie forces Joseph to question his loyalties. 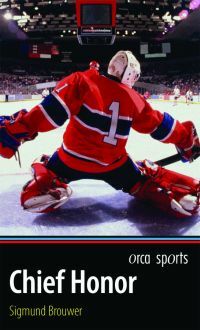 Lauren Cross is the first female player on a WHL team—goaltender Joseph Larken’s team, the Spokane Chiefs. For Joseph, the prospect of a season in the publicity shadow of a new female goalie promises to be a nightmare. Hiding behind a carefully built wall of anger, Joseph is relieved when a scandal knocks Lauren off the team…until he begins to believe she was framed. I looked hard. He was still in the shadow of the truck. His hands were out of sight. Did he have a gun? 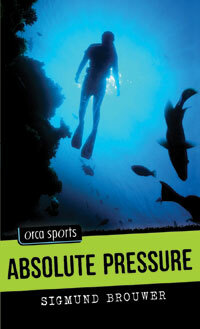 Ray stumbles on a deadly secret and it may cost him his best friend and his football future. After discovering tainted water in the creek near his grandmother’s cabin in the Kentucky hills, senior Roy Linden slowly uncovers a connection between his high school team’s new star quarterback, his own football future, and the source of the pollution. Roy Linden should be thrilled. His high school football team, the Johnstown Striking Cobras, just got a new quarterback, and that means a chance at a winning season and a college scholarship for Linden, the team’s senior receiver. But then he stumbles onto a deadly secret in the small coal-mining town. Revealing this toxic threat may cost him his best friend and his football career. But remaining silent could cost him much more. Nolan is pumped to be playing on the same hockey team as his brother. And then he finds out that Nate is involved in some very dangerous things. Left winger Nolan Andrews thinks it’s great that he can play hockey in Calgary, where his older brother, Nathan, is a star center for the Hitmen. When Nolan finds out that a lot of things about Nate’s new life in Calgary don’t make sense—or might not even be legal—Nolan has to make some difficult choices that will affect him and his brother for the rest of their lives. All right, I’ll admit it was stupid to point a water pistol—especially one that looked so real—at a complete stranger. In a new town, David is all alone. 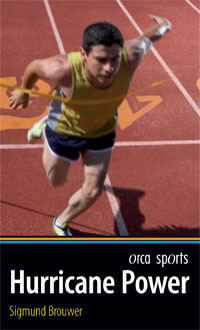 When he joins the track team he is pulled into a school-wide web of secrecy and danger. When David’s family moves from northern Ontario to Miami, Florida, it takes him less than a day to discover how out of place he is in his new neighborhood. He joins his school’s track team, hoping to make new friends, but soon he is pulled into a school-wide web of secrecy and danger. And the one person who can help him keeps running away. Without thinking about how scared I was, I dove. It was like diving into cold midnight. My ears roared as the water closed over my head. I kicked downward, blindly reaching with my hands. My clawing fingers raked the outside wall of the cabin. I followed the wall down to where it met the deck. If the ax was still on board, that’s where I would find it. Just as I was about to run out of air, I felt the smooth long handle of the ax. I grabbed it and pushed upward. Matt is running out of time. The disappearance of his soccer team’s leading scorer during the championship finals leads sixteen-year-old Matt to investigate and entangles him in a possible kidnapping. If the Mavericks win just a few more games, they’ll make it to the national soccer championship. There’s only one catch. Their star player, Caleb Riggins, has disappeared. Matt Carr is determined to find his teammate and solve the mystery. He just didn’t realize it would involve attack dogs, a mysterious golden bridge and a family who may not be who they seem. And the big game is only days away. The bulldozer stayed directly behind me. It wouldn’t get tired. There was no way I could stay ahead of it, not with all the miles between me and where the Mackenzie entered the Arctic Ocean. The crowd kept roaring, and Jason now had his shoulder pads off. A single cockroach dropped from the shoulder pads and landed between his skates. Jason threw the shoulder pads and, without waiting for them to land, peeled off his torn black T-shirt. I nearly lost the hamburgers I had eaten a couple hours earlier. At least three cockroaches were crawling on Jason’s belly, their antennas quivering in all directions. 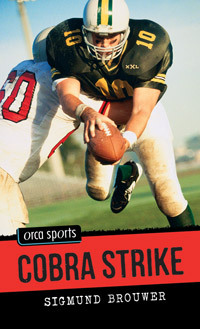 A string of accidents threaten to knock the team out of the playoffs. At 17, star defenseman Craig McElhaney likes his chances of making it as a pro hockey player. Yet, a string of recent “accidents” threatens to knock his team out of the playoffs and ruin his promising career. Craig has begun to question how many “accidents” can happen before they become more than a coincidence. But it’s not a good time for questions. Not in the spotlight of high-pressure hockey. Not when the team needs him most. And not when he has some important lessons to learn about life. For Craig, however, there is no choice. Unless the questions are answered, the team’s season and his promising career will surely end. In a quick movement, he filled my viewfinder completely. Before I could figure out what had happened, he had grabbed me by the shoulders. He pulled a ballpoint pen from his pocket and stuck the sharp end of it against my throat. It hurt. Bad. I wondered if I was bleeding. If he pushed any harder, the pen could burst through my windpipe. Will following his dreams take Trenton too far? Trenton Hiser is trying to walk in the footsteps of his uncle, Mike Hiser, a successful Hollywood director. 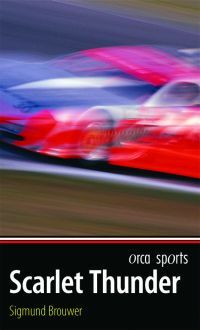 During Trenton’s summer vacation, he goes with his uncle to film the inside story of Scarlet Thunder, a top-level stock-car racing team. As they film the action, too many things go wrong, deadly mistakes are made and Trenton finds out that much more than the race is at stake. The red 4x4 spun sideways as the driver slammed on the brakes and yanked the steering wheel. The truck skidded toward Dakota’s truck. I couldn’t see the driver because the passenger side was sliding toward us. I could see the passenger though. He wore a mask over his face. And he was pointing a rifle at us through the open window. A web of violence and deceit makes winning this year’s league title a challenge. 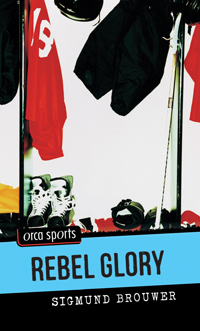 Hockey stars Mike “Crazy” Keats and his new friend, Dakota, are caught in a web of violence which makes winning a championship the least of their concerns. Dakota Smith is in trouble. But Mike “Crazy” Keats doesn’t care. 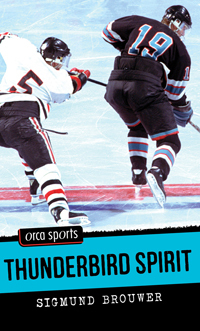 He is new to the Seattle Thunderbirds, and Dakota seems like a good guy to have for a friend. Unfortunately, not everyone accepts Dakota’s Native North American heritage so easily. Big Frank tapped on my driver’s side window with the tire iron. It was a gentle tap, but it sounded like thunder. I shook my head. He lifted his hand. Swung the tire iron down. I barely managed to shift out of the way as it crashed through the window. Pieces of glass sprayed my leather hockey coat and my head. 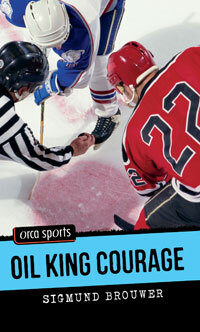 Terrified of confrontation, Ray is forced to stand up to danger—both on and off the ice. 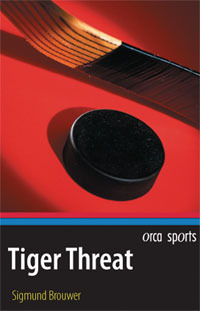 Ray Hockaday plays center for the Medicine Hat Tigers in the Western Hockey League. He’s spent his hockey career hiding something from the world. When his new Russian room-mate shows up, Ray is assigned to help Vlad get used to life in Canada. What Ray doesn’t know is that Vlad is also hiding something. And that secret could get both of them killed. Someone had come up behind me from the dark hallway that led to the bedrooms. That same someone snapped off the light at the switch on the wall. That left us alone in the dark, me and someone with a gun and a harsh whisper. Jack may lose more than a basketball career. Jack Spencer has more to worry about than being kicked off his high school’s basketball team. He uncovers suspicious circumstances surrounding the car crash that severely injured his mother and learns of his father’s arrest for fraud. Jack’s dad is tough on him, but he has learned to live with it. For the most part, he has it pretty good. Jack is a star player on his high school basketball team with everything going for him-scoring records, popularity and an easy path to a college scholarship. Almost as fast as the crash that put his mom in the hospital, everything Jack believes in starts to crumble. His only hope is to discover what’s really going on, and quickly. If he doesn’t, Jack may lose much more than a basketball career. I suppose I could be less invisible if I were one of the guys who joked around in the locker room. Or if I broke curfew. Or if I complained. It’s just easier to not be noticed. That way people don’t expect things from you. There’s no pressure, nothing to fear. Tyler discovers his inner superstar after volunteering at a local youth home. He also finds himself in more danger than he imagined. Tyler is a good, solid hockey player, but not a great one. That honor belongs to the obnoxious Riley, a sixteen-year-old spoiled superstar who makes Tyler’s life miserable. When Tyler and Riley are sent to volunteer at a local youth program, Tyler finds the passion and commitment he needs to step up his game on ice—and off. 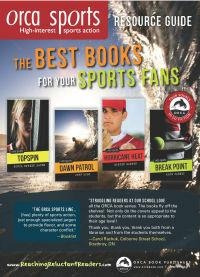 Perfect for reluctant teen readers, the Orca Sports titles combine mystery and adventure with team sports such as hockey, baseball, football and soccer, and solo sports like scuba diving, running, sailing, horse racing and even race-car driving. 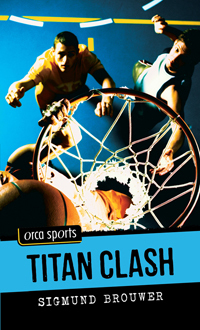 Written by popular, award-winning writers such as Sigmund Brouwer and Nikki Tate, Orca Sports books engage young readers with exciting plots and easy-to-read language. 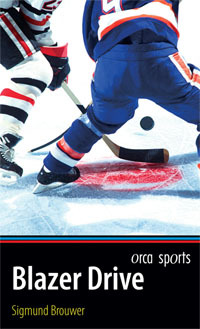 The Orca Sports Resource Guide provides teachers with ideas for connecting each title in the series to the curriculum, the text and, most importantly, the students. 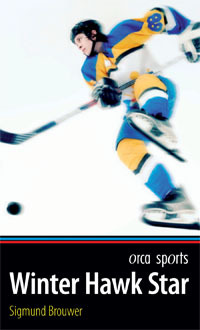 Certain to encourage lively discussion in the classroom, the Orca Sports Resource Guide is a valuable tool for teachers who want to give their students the very best.